Meryl Streep just can’t shake the rumors that she knew about Harvey Weinstein all along and did nothing. Rose McGowan, who claims she was raped by Weinstein, recently attacked the 68-year-old actress for reportedly planning a silent protest at the Golden Globes, suggesting she knew and kept quiet all these years. Now Streep is being targeted by a street artist in Los Angeles with posters featuring a photo of Streep and Weinstein with “She knew” written across Streep’s face. The posters were put up in several locations across LA, including across the 20th Century Fox studio and near Streep’s house in Pasadena. 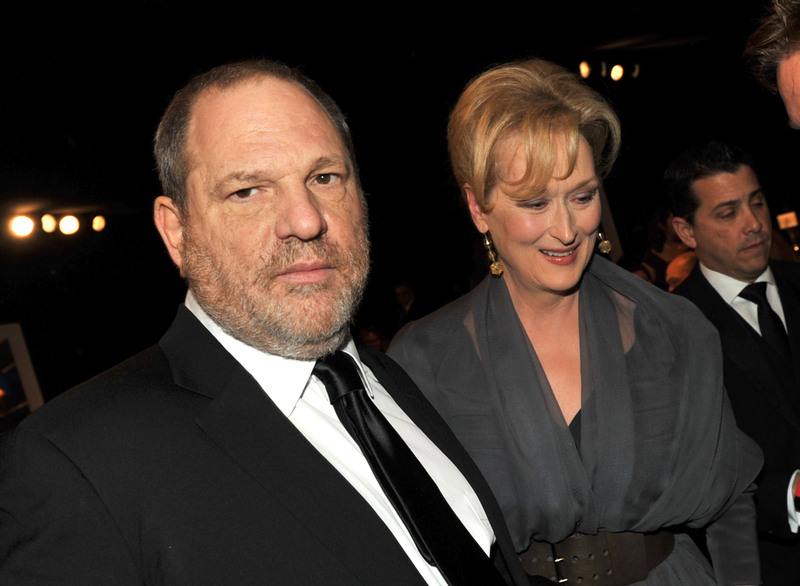 Streep worked with Weinstein for years but has repeatedly denied knowing about his behavior ever since the initial reports that exposed the former studio head came out. Most recently she defended herself against McGowan, again denying that she enabled Weinstein in any way. Weinstein’s alleged behavior with women over the post few decades was an open secret in Hollywood. Many knew what was going on and actively helped to conceal it, enabling the producer to continue doing these things.